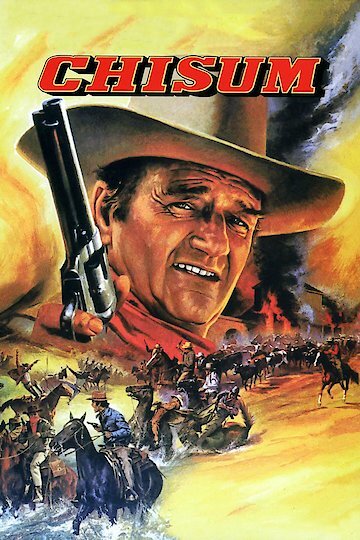 "THE LEGEND - John Wayne is 'Chisum'"
Chisum is a 1970 Western film featuring the well known actor John Wayne. This Western film presents a large cast of performers, which includes actors Forrest Tucker, Ben Johnson, Geoffrey Deuel, Andrew Prine, and Christopher George. The movie was adapted for film from a short story titled "Chisum and the Lincoln County Cattle War," biography about a powerful land baron, John Simpson Chisum, who butts heads with greedy Lawrence Murphy. Murphy won't be happy until he owns all the land around him. Chisum needs help and calls in Billy the Kid and Pat Garrett. The movie was filmed in 1969 and was released in 1970. Chisum is currently available to watch and stream, buy on demand at Amazon, Vudu, FandangoNow, iTunes online.